UK tower crane rental company and local Raimondi dealer Bennetts has put into action the first Raimondi LR330 heavy lifting capacity tower crane at a site in London. The LR330 is on a construction site in the Royal Borough of Kensington, and will be joined later this year and in 2019 by another LR330 and two Raimondi LRH174s. The LR330 used, is the first unit of this model delivered worldwide. It was received by Bennetts earlier this year. It is an 18t capacity luffing jib tower crane with a triangular jib design. At the maximum radius, it can lift 3,300kg in ultra-lift mode. It has seven different jib length configurations (from 30m to 60m) and can be equipped with three different hoisting winches: standard installed power of 80kW or the two falls configuration with the more powerful 110kW. It will be joined by a second LR330 and two LRH174s. The LR330s will be erected with a 50m jib, one with a 48m mast and the second with a 54m mast. They will both be lifting 4.62t at end of jib after 25% de-rate, with an out of service radius of 17m. 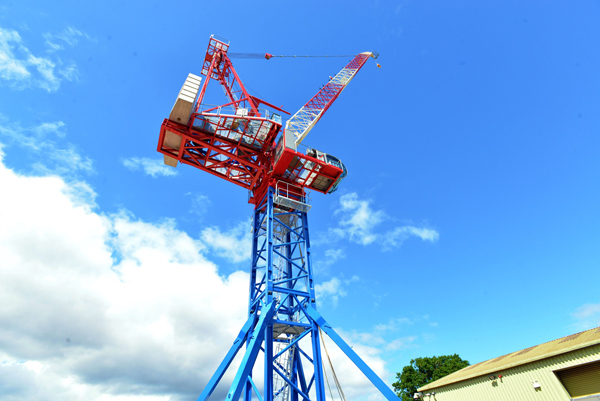 The two LRH174s will have a 35m jib, 35.7m mast and will lift 5.17t at end of jib, with an out of service radius of 10m.